Sorry it’s been a while since the last update and LOADS has happened. We’re very close to getting the shop keys now (this Thursday), and then it will be full speed ahead getting our equipment in and shelves and units up to start taking customers as soon as possible (give us a shout if you can help!!!). We’ve pencilled in an open day for the 8th september – stay peeled to the blog for updates. Also, we’re hoping they’ll be a sneak-preview pop-up a bit sooner than that too. Nod nod wink wink. Well all the plastering’s finished, it’s been painted and most of the electrics and plumbing is complete. Flooring goes down this week and a bit of tidying up and touching up paintwork etc then it’s ours! I’ve taken loads of photos but here’s three views below. 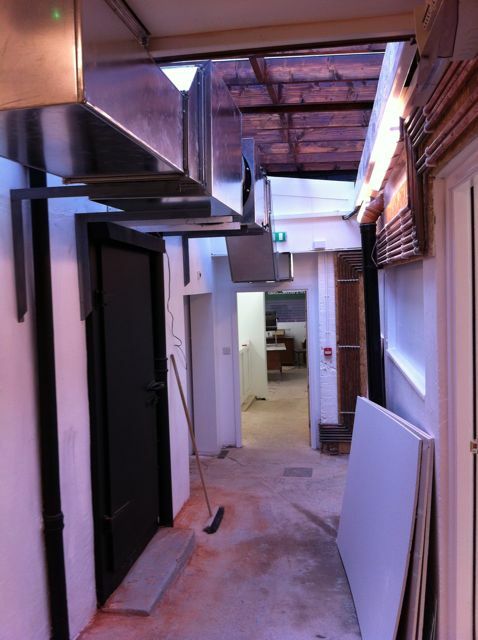 First up this is the rear corridor looking towards the cookery school dining room and cookery school at the front. This isn’t really a public area apart from if you’re looking for the loo, but it’s nice and bright and Jane has been busy potting up plants to green it up a bit! 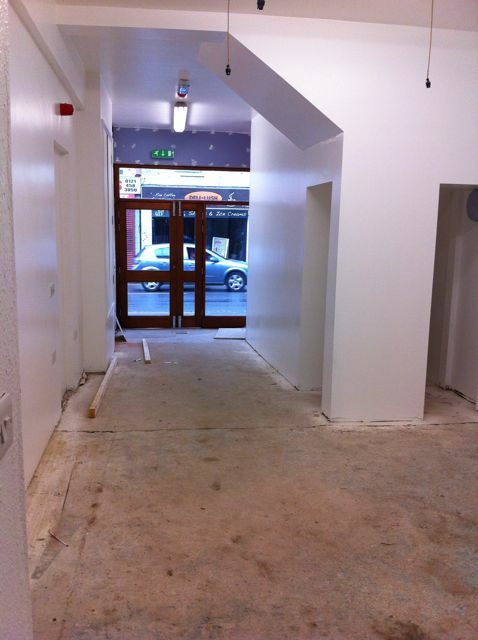 Next this is the Stirchley Stores shop looking from the back wall towards the shop front. You can just see the bottom of some new light fittings. These will soon be adorned with gorgeous green enamel shades from our pal Harry Starling who also supplied the retro wires and ceiling roses etc. 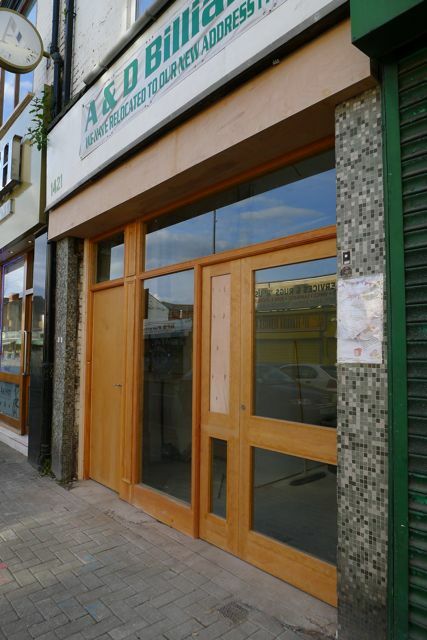 Finally here’s the new shop front for Stirchley Stores and the bakery. Actually this was taken a few days ago and the glass is now complete and it’s been nicely varnished. Smart! Next post: Last chance to forage!